← But I had a bath last year! Due to popular demand (well, I’m assuming you’re all just too awestruck by me to actually demand), I am launching a new weekly post. I will be calling it ‘Gratuitous Oink shot of the week’ and it will mainly consist of lovely portraits of my amazing self. 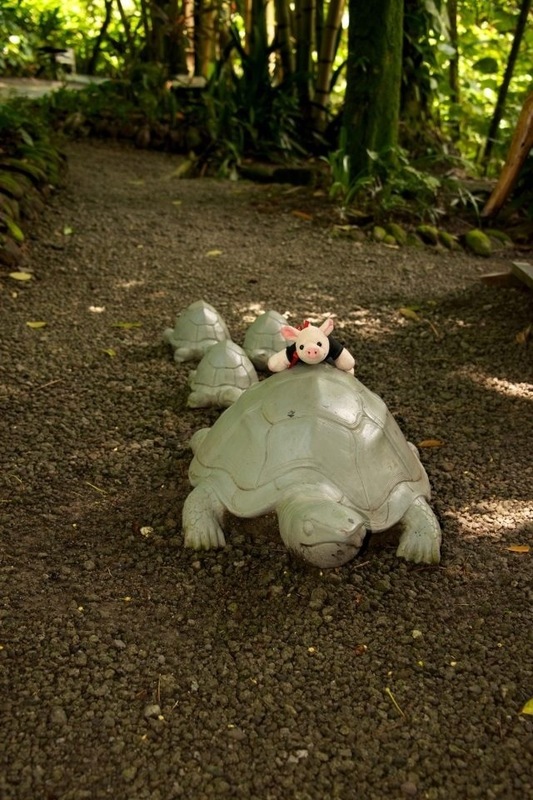 So here’s your first treat, a photo of me on my holidays in the botanical gardens on St Lucia. I was trying to get a lift from this turtle but it was moving so slow that I nearly had to WALK!!! !